NHSScotland is working with IT partner Atos, to introduce an aneurysm screening programme which could save in excess of 170 lives every year in Scotland. NHSScotland will roll out the Abdominal Aortic Aneurysm (AAA) Screening programme that aims to spot men at risk of the potentially fatal condition, to men aged 65 across Scotland. The Atos IT solution will be used by NHSScotland staff at all stages of the process. The programme will be in place throughout the country by December next year. In Scotland about five per cent of men aged between 65 and 75 are believed to be at risk with figures indicating that when an aneurysm ruptures, 50 to 80 per cent of patients die despite access to medical treatment. As NHSScotland’s IT services partner, Atos currently provides support and development capability for the majority of the national screening systems on behalf of NHSScotland as part of the eHealth strategy including SCCRS (Scottish Cervical Call Recall System) and BoSS (Bowel Screening System). The IT system for abdominal aortic aneurysm Screening has a 60% functionality match with NHSScotland’s other main screening systems, therefore allowing development and ongoing support costs to be kept to a minimum. The system will utilise Microsoft technologies such as .Net and SQLServer, and will be hosted in Atos’ Data Centre. To provide a solution for storing, viewing, distributing, and reporting on DICOM medical images, Atos has partnered with IMAGE Information Systems. The information and management system delivered by Atos includes features such as call/ recall, clinic management, alerts management, organisational management, participant management, letter management, electronic referrals to vascular services and standardised auditing. Atos is an international information technology services company with annual 2011 pro forma revenue of EUR 8.5 billion and 74,000 employees in 48 countries. Serving a global client base, it delivers hi-tech transactional services, consulting and technology services, systems integration and managed services. With its deep technology expertise and industry knowledge, it works with clients across the following market sectors: Manufacturing, Retail, Services; Public, Health & Transport; Financial Services; Telecoms, Media & Technology; Energy & Utilities. 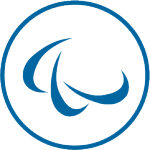 Atos is the Official Supporter ¬of Glasgow 2014 Commonwealth Games providing essential Games Management Systems and Games Information Systems to help run a successful Games. Atos has invested heavily and continues to invest in jobs and development in Scotland employing more than 1500 people in Aberdeen, Dundee, Edinburgh, Glasgow, Inverness, Linwood, Livingston and Moray. As one of the country’s key business technology providers, Atos delivers IT services to a range of clients including: Aberdeen City Council, Association of Chartered Certified Accountants, Capita, FirstGroup, Highlands and Islands Enterprise, Historic Scotland, NHSScotland, the Ministry of Defence, Scottish Development International, Scottish Enterprise, Scottish Government, Scottish Power, ScotRail, Skills Development Scotland, Stagecoach, Tesco Bank, Veripos and the VION Group. Atos was delighted to be awarded the West Lothian Business Excellence Award for Best Business in 2009, 2010 and 2011.